It’s hard to eat less and exercise more. 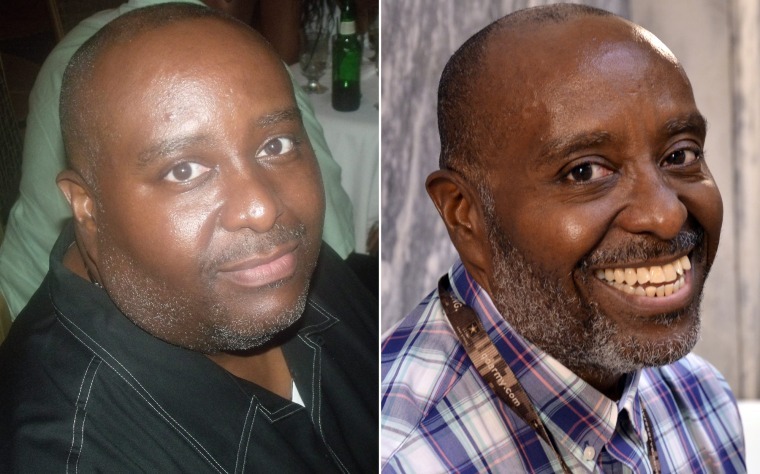 Jerome Wilson learned how to change his mindset, and slowly, steadily, reached his goal weight. In 2011, when Jerome Wilson started a job at Drexel University, reaching his office meant tackling stairs. “I had to climb this marble staircase, and dragging 300-plus pounds up and down those steps was too much on my knees. Something had to give,” he says. “I needed to make a change in my life. If I didn’t I would be facing serious health issues.” His weight had led to osteoarthritis in his knees and ankles, and he expected it would also contribute to diabetes and high blood pressure if he didn’t do something. When he heard about a weight-loss study at Drexel’s WELL Center he signed up. It took a significant commitment. The National Institutes of Health–funded program, called Mind Your Health, ran for three years and brought together a range of strategies to promote weight loss. Evan M. Forman, Ph.D., director of the WELL Center and lead researcher for the study, points out that, for weight loss, taking in less energy that you are expending is key. “But for pretty much everyone, that’s really hard to do. We tried to figure out why it’s so hard,” he says. A huge factor is that we are biologically motivated to seek out and eat high-calorie food. “And psychologically, it’s especially hard to resist when this food is around you, cheap, and available,” he says. The program taught people how to be hungry, or have a craving, without turning to food. They learned to accept things the way they are and to be OK with their state of mind. WHAT’S DRIVING THE DESIRE TO LOSE WEIGHT? He recommends putting an image or phrase on your phone home screen so every time you turn on your phone you’re reminded of your values. “When you become more mindful of your deepest values you can use them in moments of making a decision. It’s in your mind many times a day,” he says. Your values can help you recognize your desires without acting on them. You can learn to pause before choosing either cake or fruit, for example. In that pause, you can consider your values and think about what it would be like to deny yourself. “Can you learn to put up with that loss of pleasure for the sake of something that matters to you in a deep and fundamental way?” Forman asks. “Maybe you can’t do that all the time, but if you keep practicing it gets easier. You can learn to sit with the feeling, not wishing it was different or wishing the urge would go away, just recognizing that you have this urge and that it’s OK. You can make the choice that’s more fundamentally in line with what you believe in,” Forman says. DO YOU REALLY KNOW WHAT YOU EAT? As part of the study, Wilson had to write down everything he ate and share his journal with the dietitian and the psychologist leading his group. “It made you accountable,” he says. Forman points out that without logging everything you eat, you can’t accurately know how much you’re taking in. So it’s almost impossible to know what to change. “Seemingly small things can make a huge difference,” he says. Wilson’s journal taught him that the biggest changes he had to make were portion control and late-night eating. “In the first week they give you a scale and measuring cups and information about the portion sizes you should be eating. That was helpful. I had never done that before. I always just piled food on my plate and ate it,” he says. While Wilson’s pre-program diet wasn’t terrible, there was room for changes that could help shift the scale in the right direction. He cut back on pizza and fried foods and started choosing more fruits, salads, healthy nuts, and baked and roasted fish. Wilson also says the program helped him realize that we live in an “obesentric” society — a world where everything around us is designed to make us fat. The group leaders pointed out that the average serving size for a burger grew from 3.9 ounces in 1955 to 12 ounces in 2006, for example. “Bagels, muffins — everything is supersized. We’re putting gobs of calories into our bodies. I learned that I was putting calories in my body I really didn’t need,” he says. Wilson was active and slim in high school and later during a stint in the military, but after that he settled into a sedentary life. He wasn’t exercising when he started Mind Your Health, but he gradually built up a solid workout schedule. He’s in the gym four or five days a week, after work and on Saturday mornings. He starts with stretching, then does 30 minutes of cardio and 45 minutes of weight training. On alternate Saturday mornings he likes to ride his bike eight to 10 miles around Philadelphia. While he spends a lot of time exercising, he said it was easy to fit into his schedule. “My children are grown so I have the time, outside of work and church. I was just coming home and sitting around,” he says. Wilson lost one to three pounds a week on the program. “We had to weigh in each time and my weight never stayed the same,” he says. It took him three years, but he surpassed his goal weight of 200 pounds and dropped to 185 pounds. At 185 pounds he felt his energy level dropping, so he added protein shakes and now maintains a weight of 195 to 200 pounds. “Once I picked up a couple of pounds I felt better. I had more energy and more strength in the gym,” he says. He’s maintained his weight loss for more than two years. If you measure what you eat and you move your feet, any weight-loss goal you’re bound to meet. While people like Wilson who drop more than 100 pounds have dramatic stories to share, Forman points out that a 5 to 10 percent weight loss is generally considered a success, since losing that much leads to overall health improvements. With Mind Your Health, 64.0 percent of people lost and maintained at least 10 percent of their weight, compared to 48.9 percent of people using other gold-standard weight-loss programs. Dinner: A protein shake and an apple, orange, or banana. Wilson also fasts on Wednesdays, a long-standing practice he began before enrolling in the program. He doesn’t eat from Tuesday evening until Wednesday after sundown.